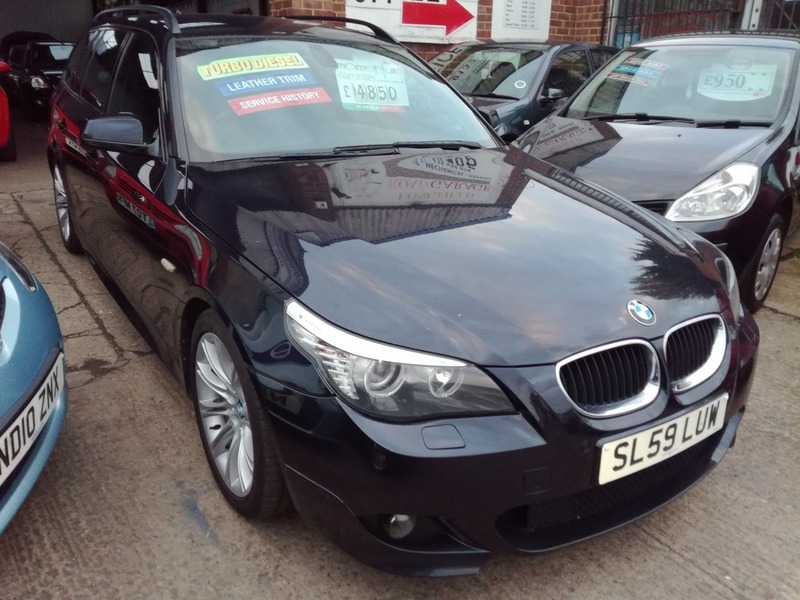 THIS IS A REALLY GOOD EXAMPLE 5 SERIES MSPORT TOURING THATS BEEN WELL MAINTAINED BY ITS LAST OWNERS AND DRIVES REALLY WELL WITHOUT ANY FAULTS. 2 KEYS, BOOKPACK, 6 SERVICE STAMPS, FULL MOT WITH NO ADVISORIES AND 6 MONTHS PLATINUM WARRANTY INCLUDED IN THE PRICE. WHAT A CAR FOR THE MONEY! !...ALL CREDIT/DEBIT CARDS ACCEPTED, PART EXCHANGE WELCOME, CHEAP UK DELIVERY, VIEWING 7 DAYS A WEEK WITH HOURS TO SUIT YOU! !